As a former user of oxycontin, which my dose was at 4 x 80 mg a day plus breakthru meds, and was also told that indeed it lasted 12 hours, but, was given it every 8 hours as it did not last the 12 hours at all. I was lucky it lasted 6 hours, and the rx'ing dr would have given me 5 x 80mg, had the insurance company said it would pay for it. I was told that many complaints were issued against the so called 12hour dosing , especially after it made it abuse tolerant, which changed the formula even more. So when taking the 80mg started to have with drawals at 6 hours! I totally understand that many could have overdosed because of this, and then the patient, while still in pain, would take another dose, which could put tem over the edge. These patients did no wrong, just had pain, was given meds which were to last 12 hours but, did not. At the very least it was false advertising. What is worse is that the fda went along with it!, Hmm, is it that there are people in control of these things with big pharma ties? Or owe favors for their contributions? All I know is they didnt do as advertised , so that of course it made it easier to be abused, unintentionally or intentionally.. How could they have gotten approval as they knew back then the issues with it? HMM.Well, it seems its easier to do that now, since the fda is headed by a big pharma employee, ceo> Things like this will continue to happen, until the people in charge are either held accountable for their actions, or removed and replaced with people that have no financial interests in big pharma, or, the other side of the business, the rehab centers, or take any financial gains from the people that make the decisions for us. The cdc is a whole other subject on the same theme. Trying to get rules passed on the down low, then getting caught, but, because of their interests, financial, in suboxone and rehab centers, which is a success rate of what 3%? Hmm. Just makes ya wanna go hmm. The so called system is shady. 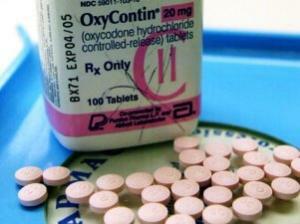 In my medical experience, patients do not get sufficient pain relief for 12 hrs when taking Oxycontin. Every eight hours is a more realistic dosing schedule. But since regular generic oxycodone tablets last 4 hours (and are a lot cheaper), that does not give Oxycontin much of an advantage. Thus the 12-hour duration claim to maintain Perdue Pharma's market share. This puts patients in a bind, however, as they are blamed for taking the medicine too soon. Hmm, they must be abusers (conclude the misinformed practitioners) so dismiss them from the practice - they deserve the pain of withdrawal.